This Place of Worship was founded by 1964, and we understand it is still open. 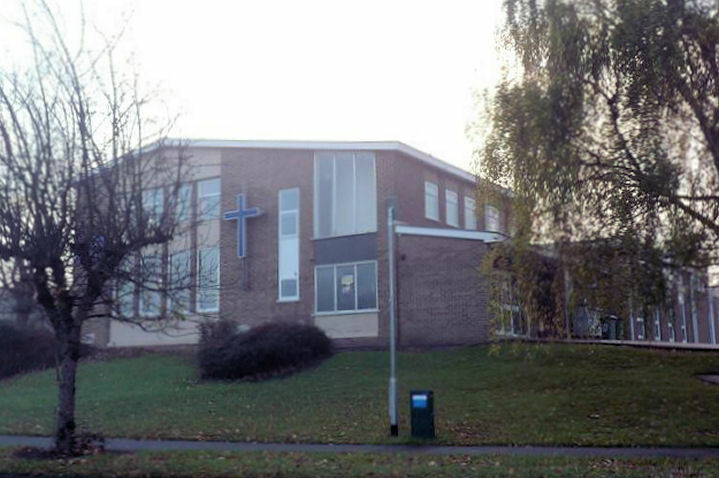 St John's Methodist Church in Allestree is a modern building, adjacent to the Park Farm shopping centre. Their website was the former home of an account of A History of Methodism in Derby and District, now transferred to the Derby Methodist History website. A Building certified for worship named ST. JOHN'S METHODIST CHURCH, Birchover Way, Allestree in the registration district of Shardlow in the county of Derby was on 28th May 1964, registered for solemnising marriages therein pursuant to section 41 of the Marriage Act, 1949, as amended by section 1(1) of the Marriage Acts Amendment Act, 1958. Dated 2nd June 1964. St John's Methodist Church, Allestree shown on a Google Map. Places of Worship in Allestree shown on a Google Map. I have found many websites of use whilst compiling the information for this database. Here are some which deserve mention as being of special interest for Allestree, and perhaps to Local History and Places of Worship as a whole. Information last updated on 27 Sep 2018 at 13:54. Please also remember that whilst the above account may suggest that St John's Methodist Church remains open and accessible, this may not remain so. This Report was created 10 Apr 2019 - 01:43:27 BST from information held in the Derbyshire section of the Places of Worship Database. This was last updated on 6 Feb 2019 at 15:49.